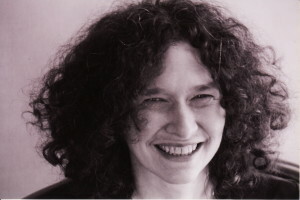 Catherine Kautsky, Chair of Keyboard at Lawrence University, has been lauded by the New York Times as “a pianist who can play Mozart and Schubert as though their sentiments and habits of speech coincided exactly with hers … The music spoke directly to the listener, with neither obfuscation nor pretense.” She was the 2016 winner of the Lawrence Excellence in Teaching Award, the 2013 winner of the university’s Faculty Convocation Award, and in 2017 she was honored with the George and Marjorie Olsen Chandler Chair in Music. Her recent recording of the Debussy Preludes, released by Centaur in September, 2014, was said to “bring out all the power, majesty, and mystery of Debussy’s conception.“ Ms. Kautsky, whose teachers have included Rosina Lhevinne, Gyorgy Sebok, Leon Fleisher, Martin Canin, and Gilbert Kalish, has concertized widely, performing in major halls such as Alice Tully Hall, Carnegie Recital Hall, the Phillips Collection, Jordan Hall, and the Chicago Cultural Center. She has soloed with numerous orchestras, including the St. Louis Symphony and Milwaukee Chamber Orchestra, and appeared frequently on public radio. She has spent two sabbaticals in Paris and played abroad in France, England, Italy, Spain, Poland, China, Hong Kong, Korea, Thailand, Brazil, Australia, Russia, and South Africa. Known as both a solo and collaborative performer, Ms. Kautsky has performed chamber music at the Aspen, Tanglewood, and Grand Teton Festivals, presented masterclasses on five continents, and recently recorded the complete Brahms Sonatas for Violin and Piano. Ms. Kautsky, whose students have won prizes across the country and gone on to leading graduate programs, has taught at Lawrence University Conservatory of Music since 1987, with a 6 -year hiatus as piano faculty and chair of the Keyboard Dept. at University of Wisconsin-Madison. Known for her cross-disciplinary interests, she was awarded the Arts Institute Creative Arts Award at UW-Madison and has presented frequently at national conferences on such topics as “On the Trail of Chopin and George Sand,” “WWI: A Centenary Look at the Musical Wars, “ and “Celebrating Debussy and the Arts du Spectacle” Her articles have appeared in Clavier, American Music Teacher, and International Piano. Ms. Kautsky holds a bachelor’s degree from the New England Conservatory, a master’s from the Juilliard School, and a doctorate from the State University of New York at Stony Brook. Her new book, Debussy’s Paris: Piano Portraits of the Belle Époque, was issued by Rowman and Littlefield in September, 2017.